It is just so good! I came of age in the eighties. I grew up on aspartame, margarine, and imitation vanilla. I did not know any different. It was the way we did things. There was no blog, Twitter feed, or Facebook meme to indicate otherwise. Homemade chocolate chip cookie dough with real butter. Real vanilla. Real chocolate. What is that they say about raw eggs, salmonella, and violent illness? I must apologize that I cannot hear you for I am too busy licking every last morsel of decadent goodness off of the spoon. Yes, this happened in my kitchen today. With caramel drizzle coffee. And I liked it. 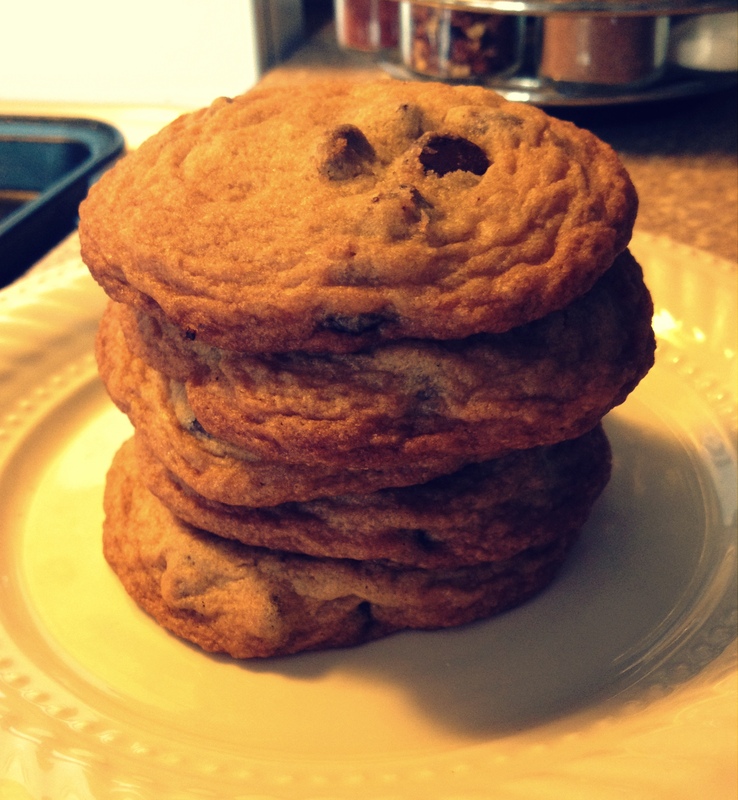 This entry was posted in Coffee, Food, Thoughts and tagged butter, chocolate chip cookies, real food by Kelly. Bookmark the permalink.